Many people can say anything about Tom Cruise, and that’s something you or me can’t stop. But one thing about him is an undeniable fact – he knows well how to choose a role, create the characters he portrays, and the level of strength he wishes to transform into them. Jack Reacher might not be as iconic as James Bond, but this character has something that makes us respect him. He has dignity, required persistence, intelligence and is strong enough to return to fight against bad guys. But the question is – how strong is he right now, and how far he is willing to go to stand against a big corporation that can destroy him and his loved one in the blink of an eye? 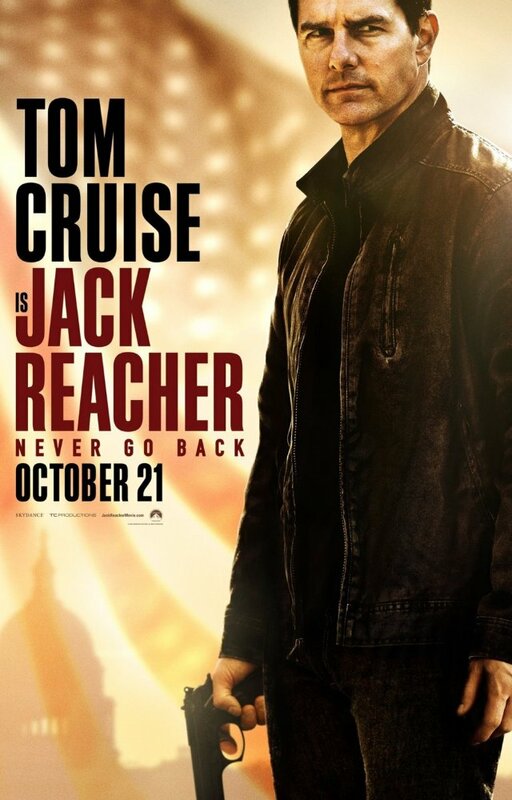 In the new franchise of Jack Reacher, but this time called Never Go Back, our hero finds himself on the run after being accused of murder. Realizing the reason of being hunted by the government, Jack Reacher must uncover the truth behind a major government conspiracy, however, a wicked spot found from his past makes him more vulnerable than he was expected. Now, he must protect not only himself, but the source of that past that suddenly appears out of the blue. The screenplay co-written by Edward Zwick who stands behind the camera as well, does not bring a suspenseful storyline or something close to that which would have kept the audience on the edge of their seats, but rather concentrated on its entertaining part where action packed scenes replaces its intelligent part of the story. Yes, the conspiracy theory is not foreign to anyone, and the bad guys need to be looked for not outside of a particular country, in this case the US soil, but inside, which in many cases is real. However, event the predictable part of the storyline where you find Mayor Turner and Jack Reacher romantically involved, but rather slightly, just to show that Reacher is rather human than a killing machine. But the appearance of Samantha, many people believed that is his estranged daughter, brings a tough guy down to Earth where he has to keep the balance between being a military officer and a normal human being who must protect not a regular civilian, but most likely – his flesh and blood.